Whether you're starting out or downsizing, you don't want to miss this home! Absolutely turnkey home you can move into and enjoy from day one. Meticulously maintained and loaded with many updates in the last few years including newer roof, siding, windows and much, much more. Big living room with wood burning stove for those cold nights. Gorgeous kitchen with plenty of cabinets, hardwood floors and granite counters. 6 panel interior doors, hardwood floors under carpet in living room and bedrooms. Ceramic tile in large utility room and foyer. High efficiency furnace for low heat bills. Large, fenced double lot. Detached garage and new shed for even more storage. Big brick paver patio with beautiful outdoor fireplace is great for outdoor entertaining. 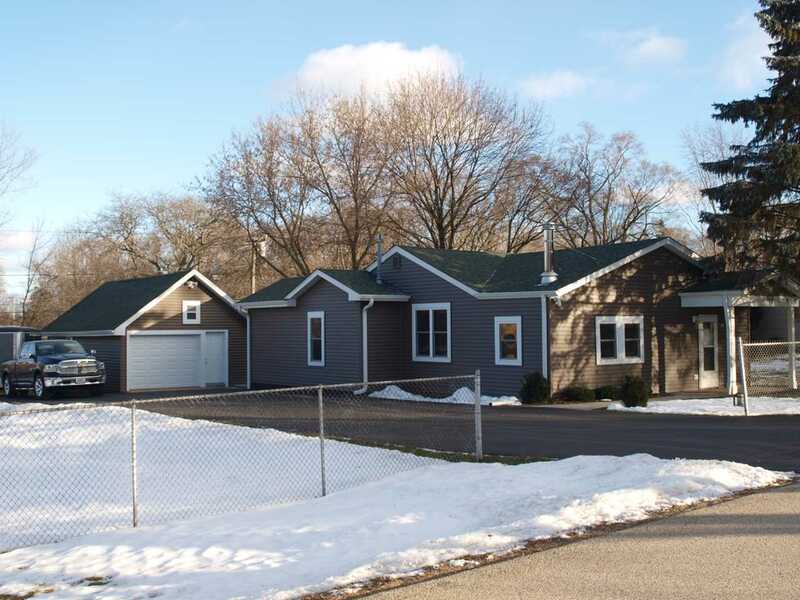 Home is only 4 blocks to the lake (water rights to multiple lakes ) and two blocks to the forest preserve. You won't find a nicer, more well cared for home in this price range. Don't miss this amazing home! SchoolsClick map icons below to view information for schools near 36895 N Edward Ave Lake Villa, IL 60046. Home for sale at 36895 N Edward Ave Lake Villa, IL 60046. Description: The home at 36895 N Edward Ave Lake Villa, IL 60046 with the MLS Number 10269245 is currently listed at $152,500 and has been on the Lake Villa market for 72 days. You are viewing the MLS property details of the home for sale at 36895 N Edward Ave Lake Villa, IL 60046, which includes 2 bedrooms, 1 bathrooms and has approximately 1050 sq.ft. of living area.